Despite many warnings, Australia remained unprepared for war in 1939. On the eve of the declaration of war, Australia had a permanent army of less than 4000 personnel. Its peacetime militia numbered about 80,000 men; mainly civilians serving on a part-time basis. 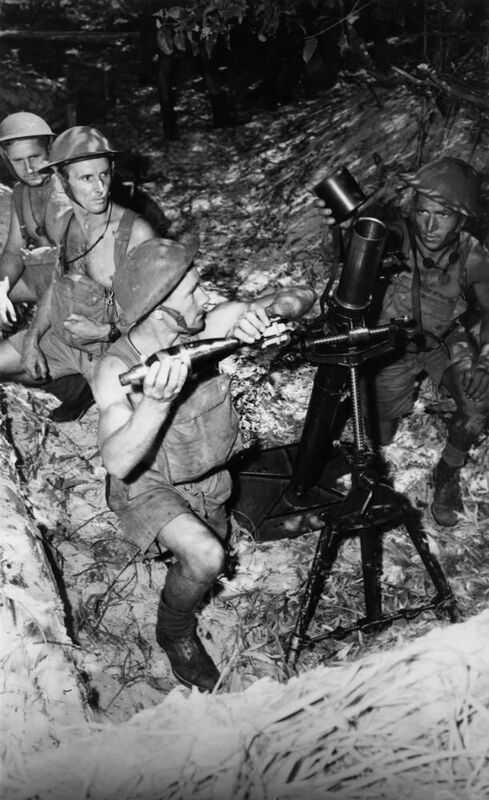 World War II saw more than 1 million Australians join the war effort. 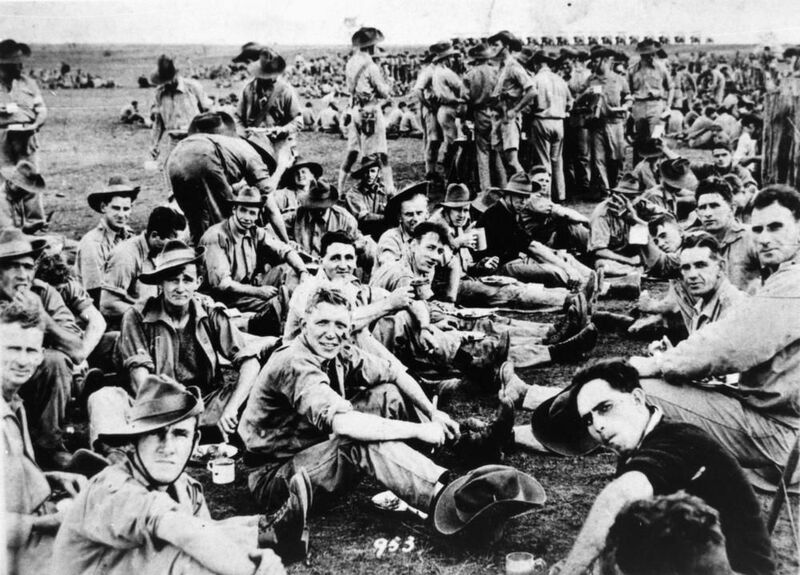 Not only did the army lack equipment and training, but there was a deep-seated tradition in Australia against conscription for overseas service, an issue which had split the nation during World War I. 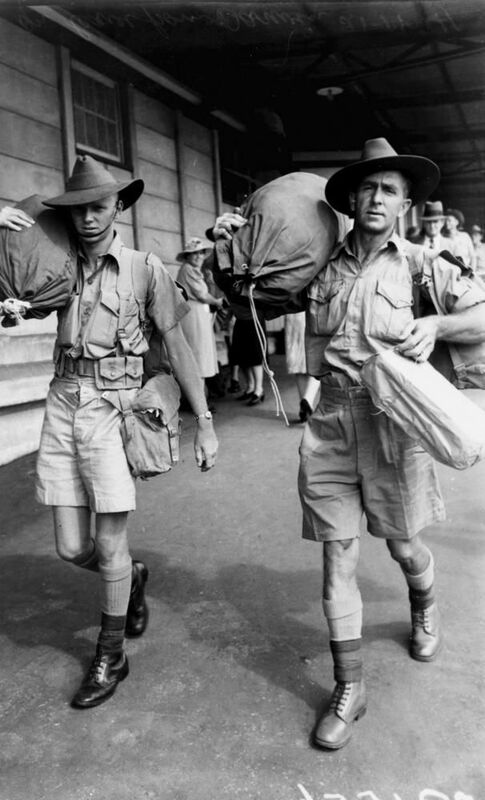 In enlisting men for overseas service, the only option available to the Australian government in 1939 was to limit any overseas expeditionary force to volunteer recruits. On 3 September 1939 the Prime Ministers of Britain and Australia declared war with Germany in consequence of its invasion of Poland. Within weeks, the Australian government announced its intention to recruit volunteers for service overseas. Militia conscription for home defence was introduced in October 1939. Thus the government became more deeply committed to the system of two armies–one, a volunteer force able to be deployed anywhere in the world, the other conscripted and able to be used only in the defence of Australia. The deployment of a volunteer expeditionary force to the Middle East was announced in November 1939. Command of the special force was given to Lieutenant-General Thomas Blamey. At first enlistment was slow for the 6th Division of the 2nd Australian Imperial Force (AIF), as the special force became known, however by July 1940, with the fall of France, over 102,000 men had enlisted. With Europe in crisis, in mid-1940 the militia was raised to 250,000 men, mostly conscripted. By September 1940 a further three AIF divisions had been formed: the 7th, 8th, and 9th Divisions. All but one of these, the ill-fated 8th Division, was committed to the Middle East. 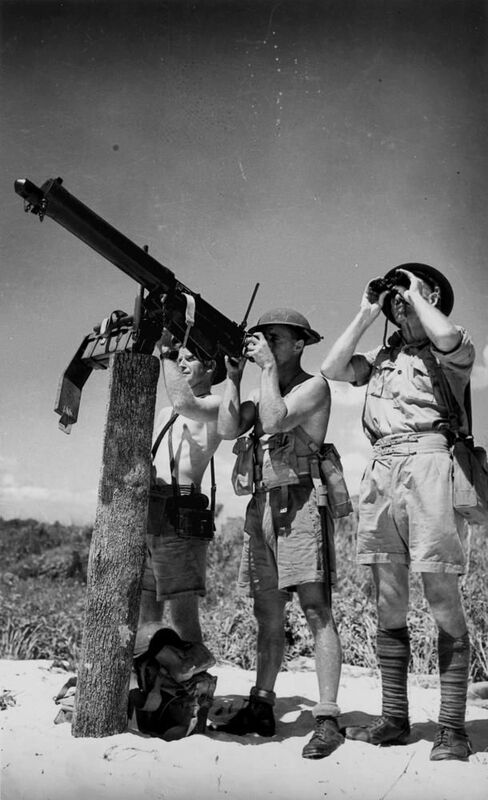 As Japan increasingly loomed as a major threat to Australia, civil defence measures were stepped up. The Volunteer Defence Corps (VDC) was formed in July 1940 to carry out home defence duties using World War I veterans. It reached its maximum strength in June 1942 when enlistments in Queensland alone totalled over 17,000 men. The VDC covered coast-watching duties in the Torres Strait and along the eastern coast and Gulf; sentry duties at key installations; and the manning of beach defences, anti-aircraft guns and coastal batteries to free up regular troops for service in forward areas. In December 1941 at the outbreak of the Pacific war, the military defence of Australia was the responsibility of the General Officer Commanding Home Forces, Lieutenant-General Iven Mackay. By early February 1942 with the Japanese advancing towards Australia, Mackay saw the main priority as the defence of the industrial heartland in the south-east of the continent. His proposal not to reinforce north Queensland was to give rise to the ‘Brisbane Line’ controversy. The reality was that during the first months of the Pacific war, there were barely enough divisions to defend the east coast from Melbourne to Brisbane, let alone threatened centres such as Townsville, Cairns, Darwin and Port Moresby. Only three local militia battalions were on hand to defend the whole of north Queensland. However, within weeks the matter was resolved by the decision to return the 6th and 7th Divisions from the Middle East for Australia’s defence. Although the Japanese invasion of Port Moresby had been thwarted by a tactical victory in the Battle of the Coral Sea, the threat to north Queensland was perceived as very immediate. This was particularly so in July 1942 when Japanese forces landed on the north coast of New Guinea near the northern end of the Kokoda track and began an overland advance on Port Moresby. The small Australian force of defending militia troops conducted a fighting withdrawal over the Owen Stanley Range, suffering heavy casualties until September when a counter-offensive was launched from Imita Ridge, almost within sight of Port Moresby. Supported by artillery, units of the Australian 7th Division drove back the over-extended remnants of the Japanese army. An attempt by the Japanese to outflank the Port Moresby defences by landing at Milne Bay at the eastern tip of New Guinea was repulsed by Australian forces, including many Brisbane, Toowoomba and North Queensland Militia. This marked the first defeat on land for Japanese forces in the Pacific. During 1942 the battle-hardened troops of the 6th and 7th Divisions, AIF, who had been engaged in fighting Italian and German forces in the Middle East and North African campaigns, were withdrawn by Churchill and returned to Australia at the request of Prime Minister John Curtin. The return of the Australian divisions and the deployment of growing numbers of US forces to Australia were followed in March 1942 by the arrival from the Philippines of General Douglas MacArthur and his appointment as Supreme Commander of the South West Pacific Area. 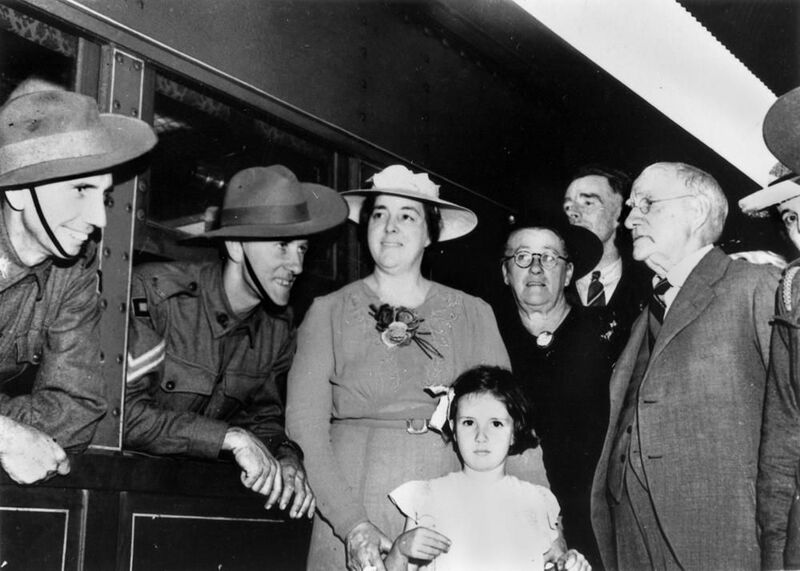 By April 1942 there were 46,000 men of the AIF back from the Middle East. 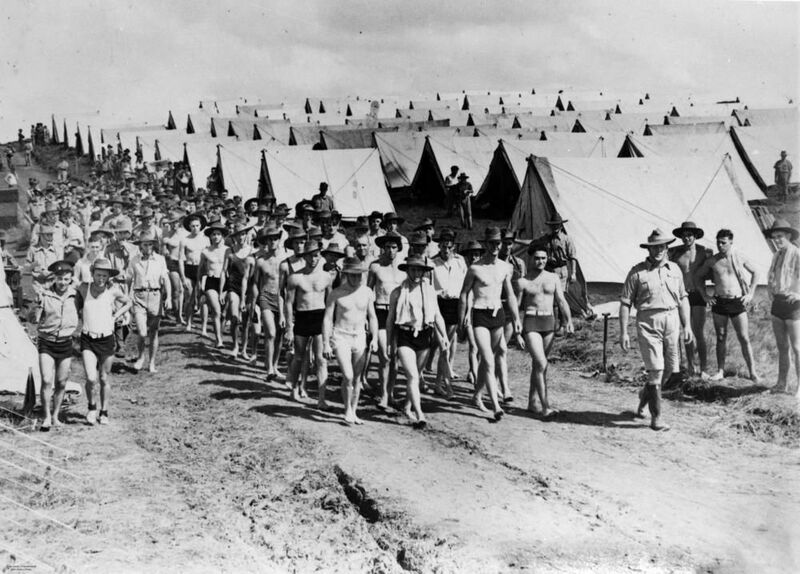 A further 63,000 soldiers had completed their training, but not left Australia; in addition to these there were 280,000 Australian militia and 33,000 Americans from all services. 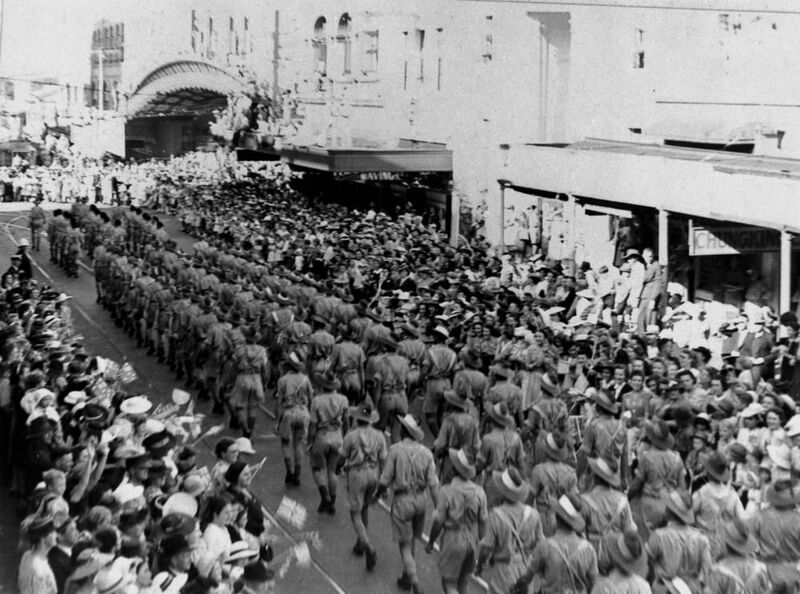 By July 1942 when MacArthur transferred his headquarters from Melbourne to Brisbane, the bulk of these forces were concentrated in northern Australia, the majority in Queensland. In late November 1942 General Blamey ordered a survey of the Atherton Tableland with the intention of developing facilities for a rehabilitation and training area for Australian troops recently returned from the Middle East. 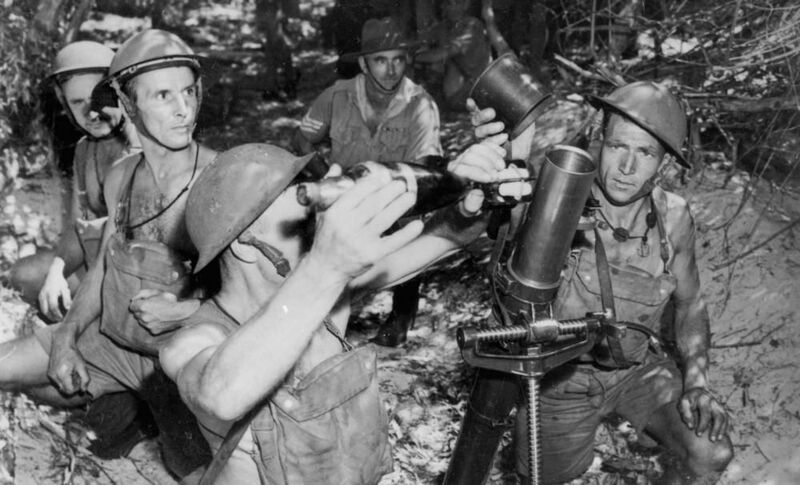 Known as the ‘Atherton Project’, the scheme had three key purposes–recuperate troops in a cooler climate while engaged in jungle warfare training; provide suitable hospitalisation for malaria and tropical disease cases; and locate personnel and maintenance installations close to the New Guinea frontline with access to railway and port facilities. From December 1942 the headquarters of the Australian Army in north Queensland transferred from Townsville to the Atherton Tableland with the main administrative base established around the town of Atherton and the nearby settlement of Tolga. A huge schedule of construction work commenced in January 1943 involving the building of tent encampments, hutments, stores, bakeries, mess kitchens, entertainment halls, hospitals, sewage plants, army farms and a war cemetery. 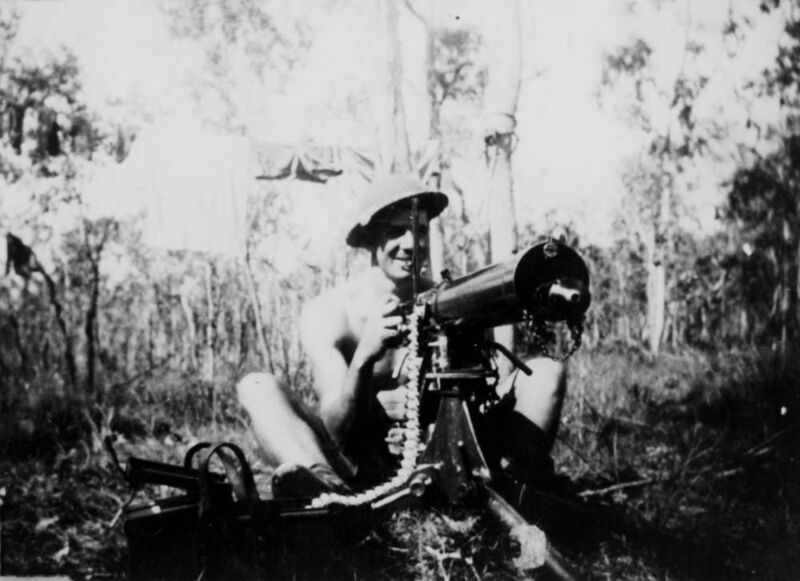 Units of the Australian 6th and 7th Divisions arrived on the Tableland in January 1943 and began establishing tent encampments around the settlements of Wongabel, Wondecla and Ravenshoe. 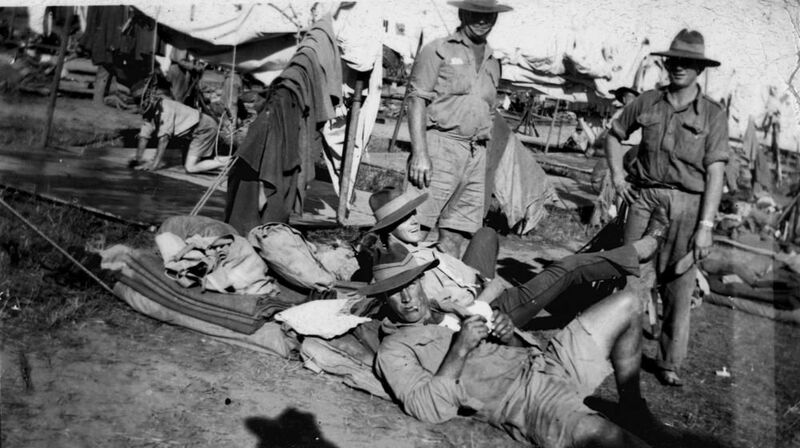 The 9th Division returned to Australia from the Middle East during February and the following month moved into camps around Kairi, Tinaroo and Danbulla. Jungle warfare training took place in rainforest country near Tully Falls, Longland Gap, Mount Bartle Frere and on Rainy Mountain in the Kuranda Range. Following the capture of Buna and the end of the Kokoda campaign, Australian operations on the north coast of New Guinea continued with the advance towards Salamaua, the capture of Lae, the subsequent advance up the Markham and Ramu River valleys, the landing at Finschhafen, and the taking of Sattelberg. Cairns replaced Townsville during 1943 as the main port of embarkation for Australian troops engaged in the New Guinea campaigns. Amphibious landing exercises were carried out in Trinity Inlet and on the northern beaches. With the departures for Borneo in March and May 1945 of the 7th Division for the capture of Balikpapan, and the 9th Division for landings at Brunei and Tarakan, army activity on the Atherton Tableland scaled down until the war’s end in August. Even before the Japanese surrender many units had begun returning to their home states. 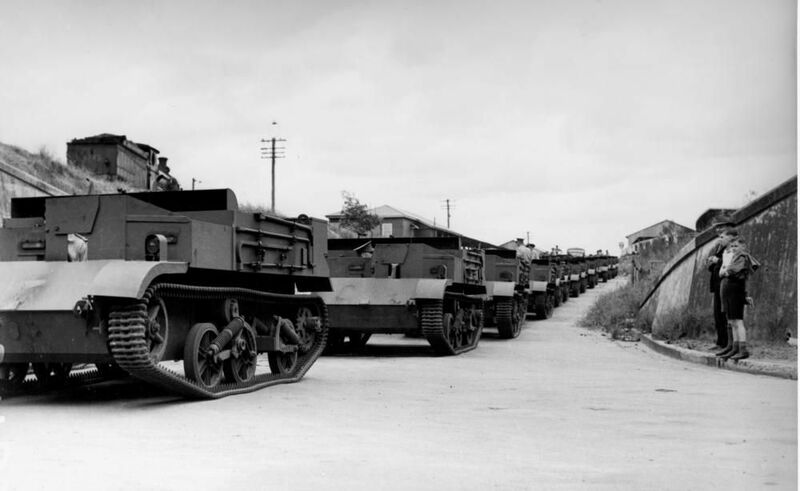 However, in some cases it was several years before the last units were finally sent south and disbanded. The Australian Army Nursing Service was mobilised with the declaration of war in September 1939. 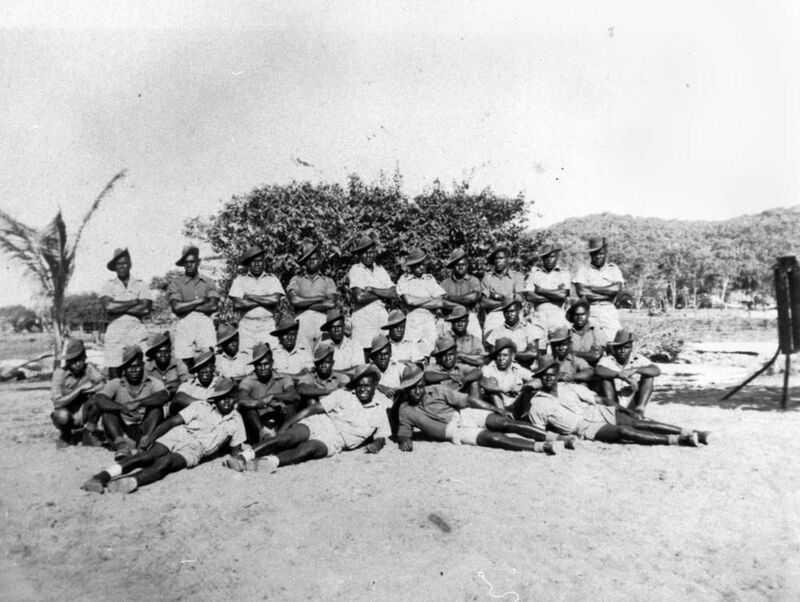 Sisters were employed in Australian General Hospitals (AGH) and Casualty Clearing Stations in Australia and later in New Guinea and the Pacific islands. Rocky Creek AGH near Atherton, was the largest military hospital to be built in north Queensland during World War II. 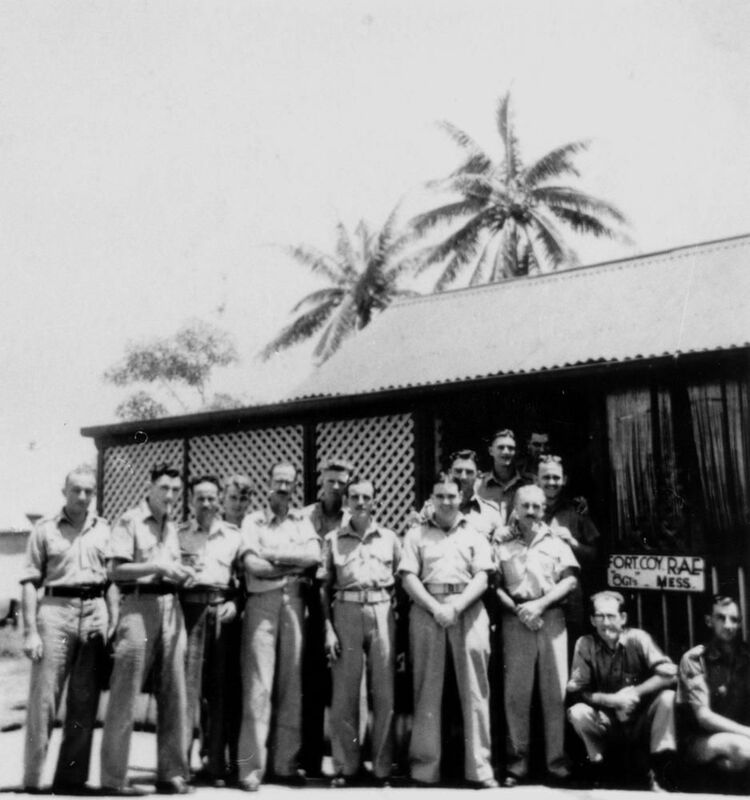 The hospital was a key component in the development of training and rest facilities for Australian Army divisions on the Atherton Tableland, in preparations for the planned New Guinea and island offensives. At its peak the hospital complex included a convalescent depot of 1000-bed capacity and two general hospital units, each with 1200-beds. Although general hospital services were provided at Rocky Creek, special emphasis was placed on treatment for malaria and other tropical diseases. Approval for raising a company of Torres Strait Islanders was given in May 1941, allowing white troops stationed in the Torres Strait to be released for posting to New Guinea. 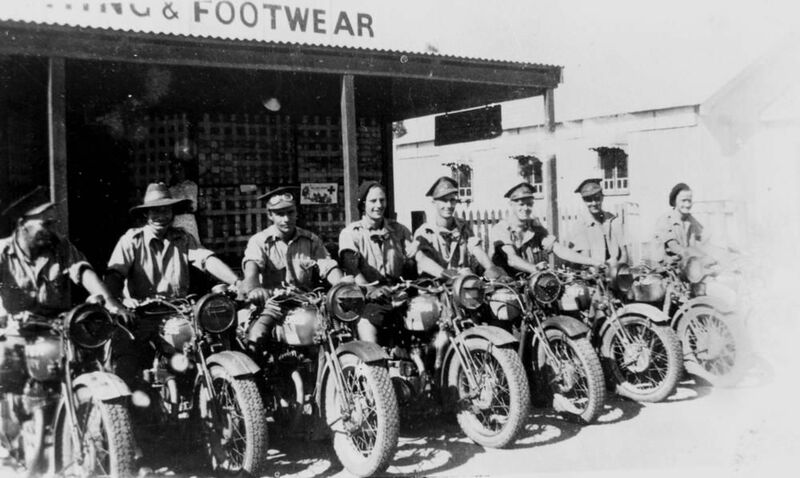 Recruitment commenced mid-year and training began on Thursday Island in late 1941. 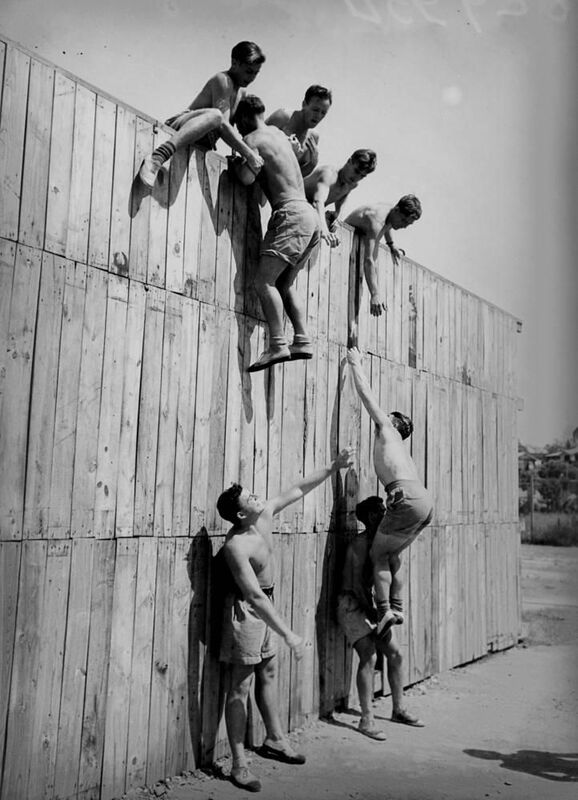 Men from the outer islands were recruited in mid-1942. Between July and November, the group rose from company to battalion strength with 830 men. Some joined because they had no choice after their luggers and canoes were confiscated to prevent the Japanese from capturing and using them. 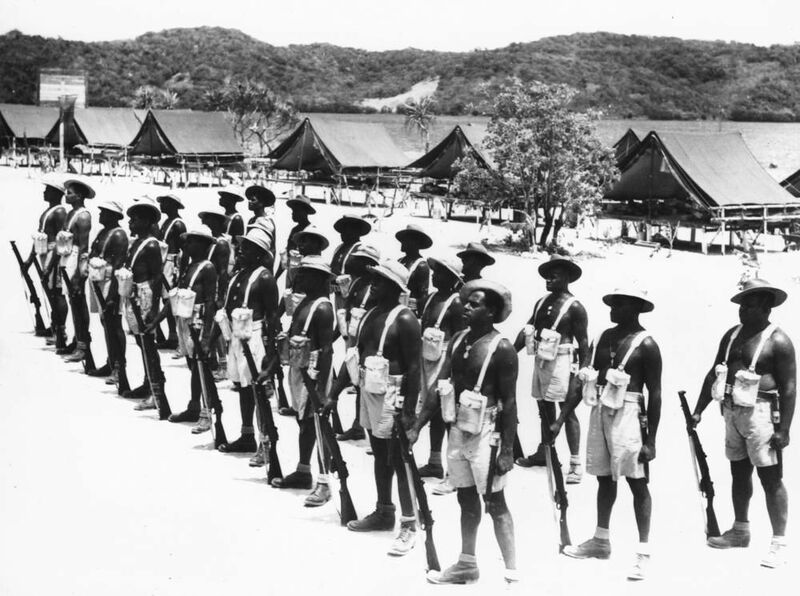 Additional mainland Aborigines and Torres Strait Malays also joined the Battalion, which was designated the Torres Strait Light Infantry Battalion. Enlistment with the military forces offered Aboriginal and Torres Strait Islander people for the first time, the opportunity to enjoy similar conditions–but not the same pay–as offered to white Australians. 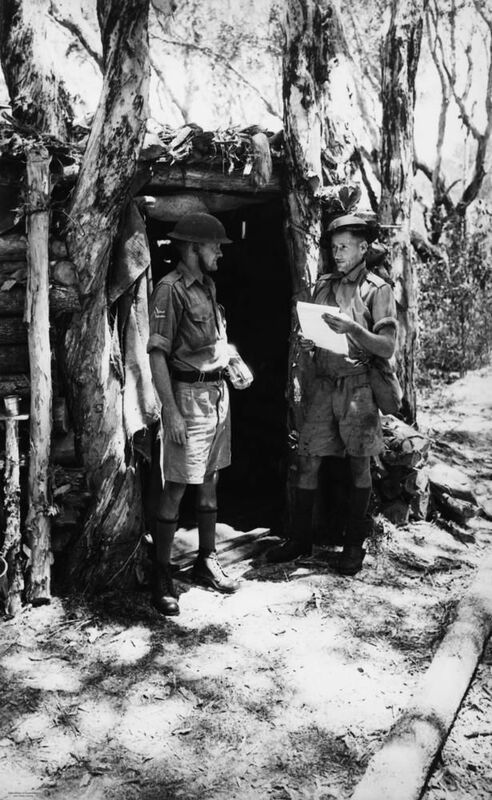 The concentration of troops in the north meant there was considerably greater contact between black and white Australians during World War II than during the earlier time of the cattle stations and missions. Though peace brought a return to pre-war attitudes and low pay for Aborigines and Islanders, the army experience changed outlooks and expectations and undoubtedly influenced the land rights movement in the post-war period.